Japan has set up anti-missile defences on the Okinawa islands ahead of a planned rocket launch by North Korea. A Japan naval vessel transported Patriot missiles and related radar equipment to the port of Ishigaki island on Wednesday. 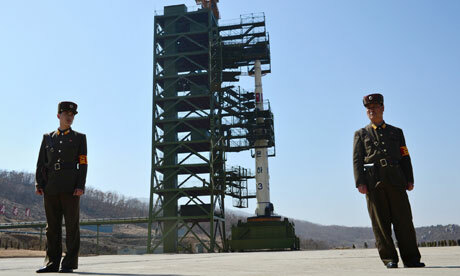 The North Korean state news agency announced a week ago, the intended launch of a satellite into space, some time between the 10th and 22nd of December. Senior representatives from Japan the US and South Korea condemn the launch as a disguised ballistic missile test that violates UN resolutions. “We all agree that we will continue diplomatic efforts until the last minute. The international community will take firm action if North Korea goes ahead with the launch,” said Shinsuke Sugiyama, Head of the Japanese Foreign Ministry’s Asian and Oceanian Affairs Bureau. The J-alert emergency warning system has been tested across Japan, to swiftly let the public know if the missile falls into Japanese territory. The flight path is similar to that of a failed launch in April. The Japanese government has given orders to intercept the rocket if it appeared to be falling towards Japan. 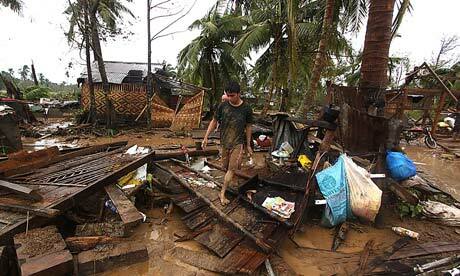 The death toll from the Philippines’ strongest typhoon of 2012 has risen to at least 280. Officials fear hundreds more bodies will be found as the army and rescuers reach the worst hit villages. One of the areas most devastated by Typhoon Bopha was the Compostela Valley. Up to 80 percent of the plantations here have been destroyed, at an estimated cost of 75 million euros. Raging waters from the mountains swept through school buildings, courts, town halls and health centres where residents had taken shelter. Thousands of bloodied survivors, caked in mud, piled into temporary shelter areas, as local officials appealed for aid. Schools remained closed on Wednesday and dozens of domestic flights were suspended. Scenes like this are all too common in the Philippines, Typhoon Washi which hit in December last year killed around 1,500 people. 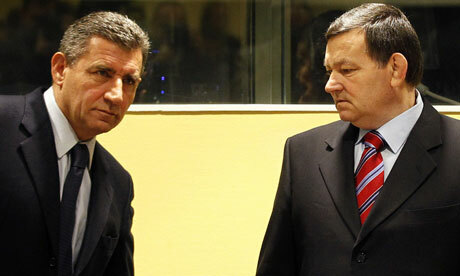 The acquittals of General Ante Gotovina and Mladen Markac for war crimes by a UN appeals court were greeted with jubilation in the streets of the Croatian capital, Zagreb, on Friday. The successful appeal marks the biggest reversal for the International Criminal Tribunal for the Former Yugoslavia during its two decades of hearing cases involving the bloody breakup of the country. “Obviously these are two innocent men but that does not mean that the war was not difficult, bloody and just as far as Croatia is concerned. There were mistakes in that war, mistakes that the Croatian state is ultimately responsible for, not Markac and Gotovina. And for those, and to those, who were wronged by the Croatian state, Croatia will fulfil its debt to justice,” he said. But, Savo Strbac, the director of Serbian NGO “Veritas”, echoed the feelings of many of his countrymen. “We are shocked by the verdict. I can freely say that it is shameful because I am a judge myself and I know how things work. This verdict is the result of a majority vote,” he said. The Serbian President was also vocal in his opposition to the courts decision. In a written statement Tomislav Nikolic said: “It is now quite clear the tribunal made a political decision and not a legal ruling. Today’s ruling will not contribute to the stabilisation of the situation in the region and will open old wounds. The Egyptian Prime Minister has denounced Israel’s attacks on Gaza and says Cairo will try to secure a ceasefire. 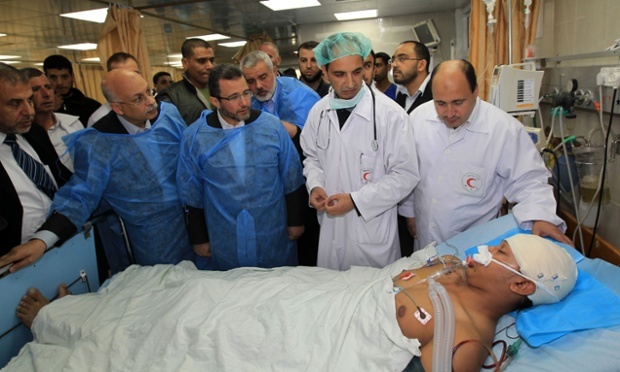 Hisham Qandil paid a three-hour visit to the Palestinian territory on Friday, visiting the Council of Ministers building as well as a hospital treating those wounded by the attacks. Cross-border fighting continued during the visit. Egypt, which signed a peace treaty with Israel in 1979, has brokered informal truces between Israel and Palestinian militants in the Gaza strip before. The government of Egypt, which is seen as ideologically close to Hamas, now has to balance solidarity with the fellow Islamists with the country’s dependence on US aid, worth around 1.6 billion euros per year. Qandil says Egypt seeks the establishment of a Palestinian state with Jerusalem as its capital. 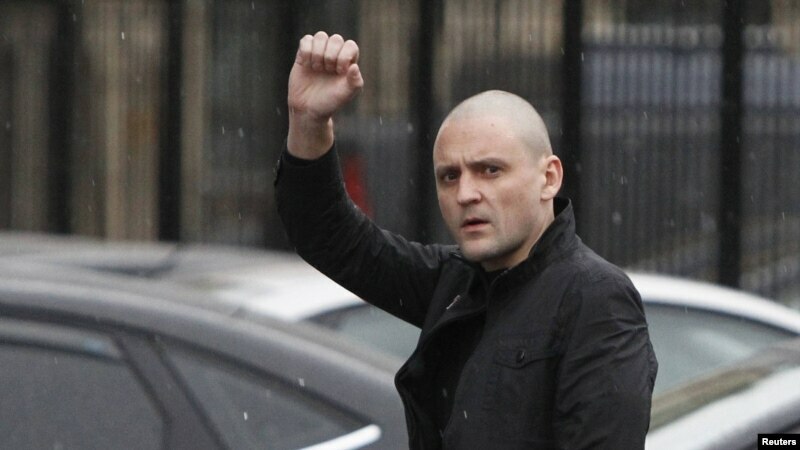 Russian opposition leader, Sergei Udaltsov has been formally charged with plotting mass disorder. The anti-Putin activist remained defiant as he entered the headquarters of the Russian Federal Investigative Committee – which is modelled on the FBI in the USA – but if convicted he faces up to 10 years in prison. He is accused of seeking funds from Georgia to stoke Unrest in Russia. The allegations were first brought by a pro-Kremlin documentary, but critics say it is just part of a government clampdown on anti-Putin protest. It was earlier reported that one of his associates, Leonid Razvozzhayev, was snatched off the street in the Ukrainian capital, Kiev last Friday and brought back to Moscow. He made a confession implicating Udatsov but later repealed it claiming it had been made under torture. The shaven-headed opposition leader who leads the Left Front Coalition has been at the front of a series of sanctioned protests in the Russian capital, prompted by allegations of fraud in December’s parliamentary election which was won by Putin’s United Russia Party. The US Presidential campaign is set to be the most expensive in history. Both candidates are on their way to raising a billion dollars (over 773 million euros) by the November 6 election. They have been spending massive amounts on advertising as well as get-out-and-vote efforts by campaigns and outside groups that have no fund-raising limits. 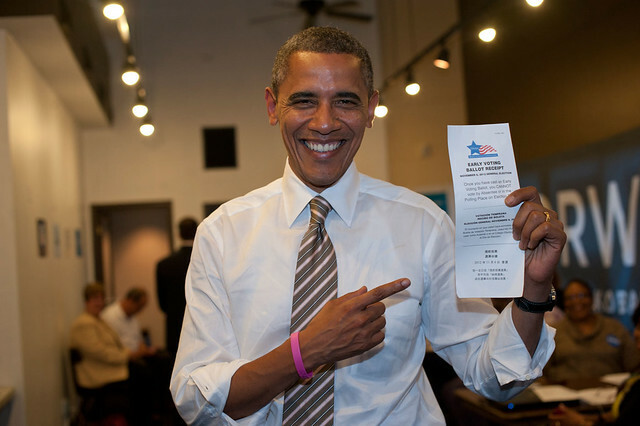 On Thursday Barack Obama voted early in his home state of Chicago, to encourage other democrats to do so. After several months lagging behind Obama in fund raising Mitt Romney and his allies overtook their Democratic rivals for the month of October. Romney’s campaign says it has 169 million dollars left in its campaign coffers while the Obama campaign says it has 123 million – hefty sums for the final push. In a record breaking spending spree both campaigns have devoted the bulk of their cash to blanketing the airwaves with advertising. In the first three weeks of October the latest tally by the Wesleyan Media Project shows Romney and his Super Political Action Committees (Pacs) spending more on advertising, but Obama and his allies actually running more ads. While Mitt Romney may hold the cash advantage in recent months, that has been down to fund raising by his party. Obama’s campaign on its own has dwarfed that of the Republican Candidate.